Pushing The Right Buttons: A loud fanfare please!!! It's official - I'm one of the team!!!!!! How excited was I to get the call to be a part of this team? People did start looking at the inane grin on my face a bit weirdly after a week of wearing it:) The chance to work with Linda, Sue and Rebecca was one I couldn't pass up on. And now Trace, Terry and Donna are alongside me I am as happy as a kid at Christmas! (how appropriate:) Oh, 2013 is going to be a belter of a year. Now, apologies if this all comes out a bit wonky today - Blogger has gone wibble on me and can only be accessed via Google Chrome - dunno why, although our town is going through an upgrade to fibre-optic broadband so that may have something to do with it. Anyways, after Wednesday's panic post I got asked to show the results of my attempts to use Tammy Tutterow's tutorial (see last post for link). I have to admit here and now that the second panel/card went straight to the recipient without time available for me to throw a camera around it, but hopefully this will suffice - there are in fact two other variations on this theme mid way through completion which I will share soon. Notice the metallic background? At this point a huge thank you goes to my wonderful friend Anne for her gift of this Couture Creations embossing folder. I adore it completely Anne. Tammy gives you the instructions on how to achieve this type of look so beautifully that I will not repeat them (colours used by me include Jenni Bowlin's Chili Powder dye ink for spritzing, and DI Tea Dye/Pumice Stone/Walnut Stain over the top. You will notice that I also embossed the card pre-Picket Fencing. My versions also took Tammy's process one stage further; having used a more open design of mask there was far more embossing on show which didn't look right so I employed Tim's technique from one of his tags by ironing off the majority of this after adding the black layer. The cogs (a mixture of grungepaper and corrugated card) were part of the batch I created some time ago. Knew they would come in useful! Like the frame? A combo of Ferro/Treasure Gold, and part of an experiment I am doing with a particular technique first showcased here. Yep, I haven't forgotten the promise to share this with you - keep your eyes peeled next weekend, that's all I'm saying;)! Originally this panel was intended for a male card but the colours seemed so feminine I went with it and used one of the lovely steampunk mannequins from a Kanban stamp set - a spot of layering/masking with a script stamp behind and careful use of a paintbrush to apply DI Victorian Velvet and some pearlescent mica paint. IRL I am really happy with it for once - actually the plan is to ensure that this year posts all show my best work as mediocre is no longer acceptable when you are part of such an illustrious design team. 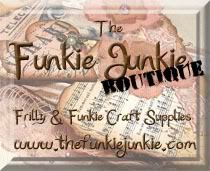 Time to leave you now with the exciting prospect of having The Funkie Junkie Boutique opening tomorrow, and if that is not good enough, Linda has a 10% OFF EVERYTHING SALE at the store so you can spend knowing you are saving too!! And for those who think it is just another store, do remember that Linda gets stuff in (being a US based store) that we maybe don't get to see in Europe straight away. She also has (amongst so many other things) metal mediums, jute and lace which is mouth-wateringly delicious (you know the stuff you want to stroke/save?!) Go on, treat yourself. 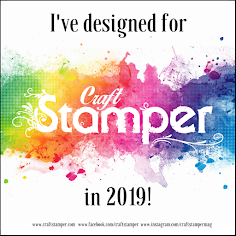 Quick Update - Von at the Artful Times challenge blog has just released the latest challenge which is 'Embossing Folders' sponsored by Oyster Stamps; well it would rude not to enter this card, especially as Von, Neet and guest designer (and my good friend) Julia have gone all out on their DT samples. Just hope I don't let the side down..cannot wait to work alongside you..as I Love your work..
Yay Congratulations Jenny, very well done. Looks like your 2013 has started off pretty well already!! You know already that I'm so thrilled about the F&F news... and what a fantastic card this is too! Amazing textures and techniques... those metallic keys in the background are gorgeous, and I love what you're doing with the Ferro and Treasure Gold - aren't they magic!! Well, that's an awesome build up for F&F, but I think it should be the other way around. It's Frilly & Funkie and I who should be saying thank you to YOU for saying yes that you will join us. 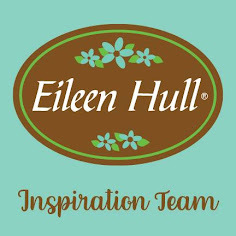 We are very fortunate that someone of your crafting talents should want to join our little challenge blog and team. I'm so excited to have you as part of our group. And thank you for mentioning the sale at my boutique too! Your card is exceptional. I love the metal techniques you have used. Must find time to visit Tammy T. and learn this technique. Love the deep rich colors you have used here too - another sensational piece of artwork! Many, many, many congratulations Jenny!! This is so deserved and I've just turned a sickly colour of green (in the nicest way of course!). This is a lovely creation, full of texture and beautiful techniques. I love the embossed frame and the metallice background is superb. I'm really so happy for you and it is right that more people should see your work. Well done you!! I've linked my tag at Artful Times - better late than never! Thanks for the name mention too. What a good choice...They get a great artist in the team Jenny! Well, Jenny, first of all Congratulations on your new post on the Design Team. Well done you, you will do the challenges proud. Thank you for entering our challenge (so quickly!) with such a delightful piece of artwork. Definitely a lovely use of several folders. What a fab piece, totally LOVE it!!! The metal key embossed bit is my favourite part, it looks glorious combined with the other bits! Oh and BIG CONGRATS for becoming part of the F&F team!!! Congratulations Jenny you will be a great asset to the wonderful team for sure. Just love what you have done on this work of art. Congratulations! I look forward to seeing the treasures you will be creating! These are wonderful news, well deserved :) My highest congratulations. Cannot wait to see your creations. Wonderful news - congratulations and no wonder you are smiling. This project is gorgeous and that EF with the keys a definite must have. Looking forward to more wonderful things to drool over. Very elegant card. Love the different techniques used with such beautiful results. Yay you!!!! So happy for you! Love this frame here! Everything exquisite. Can't wait to see all of your goodies! Hi Jenny, I tried to leave two comments yesterday using the Ipad but they wont post, so sorry I am late getting back to you, but HUGE congratulations on your F&F DT position. You are a perfect addition to their team and I am sooooo looking forward to your inspiring pieces. Love the card you have posted here very unusual and beautifully coloured. Jenny I am super thrilled for you. Have you come down off Cloud 9 yet?!!!! This is wonderful, the colours are so lovely. 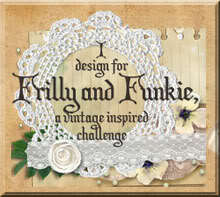 How Lucky are the Frilly and Funky team to have you as a member. You always bring such enthusiasm and creativity to every part of your art. I hope you totally enjoy the excperience. Now to stop typing and do loud clapping and cheering. Fantastic Jenny! Hi Jenny, So excited to be working along side you on the F&F design team! Your work is just beautiful! Great idea and lovely colours! Best wishes for 2013! Congrats on being on the DT! Thanks for the comment on my heart! Sorry to be so late on this -- big congrats on F&F, Jenny! You will rock things out over on the DT (heck, you already are!)!!! This piece is fantastic with all your amazing texture. Hope the weekend is going well!